וואס איז די אורזאך? 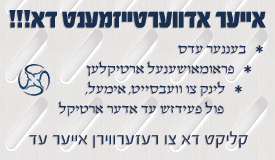 דאס וואס די סטודענטען האבן אויסגעשפילט א טעסלע נעכטען? New York (CNN Business)Tesla on Wednesday reported a massive drop in auto sales for last quarter, though the company said it's confident it will still reach its annual sales goal. About 63,000 vehicles were delivered to customers in the first three months of 2019 — a 31% drop compared to the prior quarter. The total sales figures included about 50,900 Model 3 sedans, Tesla's best-selling vehicle, and 12,100 luxury Model S sedans and Model X SUVs. It was the first quarter-to-quarter drop in sales at Tesla (TSLA) in nearly two years and the single largest drop ever. The company posted its delivery results late Wednesday, and its stock was down more than 8% during the first few hours of trading Thursday. Investors are also watching a separate piece of Tesla news: A federal judge is scheduled to hear oral arguments in a case that securities regulators filed against CEO Elon Musk. Tesla's slowing sales are a concern because the company needs cash in order to pay down its sizable debts. Tesla counts a sale whenever a vehicle is delivered, not when a new order or reservation is placed, because customers only pay the full price whenever they actually receive their car. So, sales figures do not necessarily reflect demand. The slowdown in deliveries does not come as a shock: Wall Street analysts expected Tesla to deliver about 50,000 Model 3s. And Tesla had already said it expected fewer Model S and Model X sales compared to a year earlier. Daniel Ives, managing director at Equity Research, said in an email that Wall Street was already bracing for "an apocalyptic quarter." Ives said overall sales were "clearly soft," but the low number "represents an 'air pocket' quarter in our opinion." He added that he was encouraged because Model 3 deliveries "were better than feared." Deliveries last quarter were still significantly larger than the first quarter of 2018, when Model 3 production was just getting started. During that quarter, the company sold less than 30,000 vehicles. But Tesla sales have never fallen so much between quarters. A couple of circumstances are to blame for the decline. First, Tesla rushed to complete some sales before the end of last year so buyers could take advantage of a $7,500 federal tax credit, which lowered the amount people had to pay for Tesla's vehicles. That tax credit was cut in half — potentially making a Tesla a somewhat tougher sell for budget-conscious buyers. The company said Wednesday that US orders for Model 3 vehicles "significantly outpaced" deliveries, indicating there's still strong demand for the vehicle. "We reaffirm our prior guidance of 360,000 to 400,000 vehicle deliveries in 2019," Tesla said. Second, the company started shipping its Model 3 to China and Europe for the first time in the first quarter. The new push on international sales has been a logistical challenge for Tesla. The company said Wednesday that it encountered "many challenges" with a "massive increase" in shipments abroad, something the company has previously warned investors about. Because of those hangups, a "large number of vehicle deliveries" are expected to be shifted to the second quarter, Tesla said, as about 10,600 vehicles were in transit when the first quarter ended. The company said it expects its first-quarter profits to be "negatively impacted" by lower than expected delivery numbers and recent pricing adjustments. CEO Elon Musk had said in January he was still "optimistic about being profitable in Q1." But he admitted a month later that he expected a modest first quarter loss. By the middle of March, Musk was emailing employees and asking them to do whatever they could to deliver every car possible before the quarter closed. "As challenges go, this is a good one to have, as we've built the cars and people have bought the cars," he wrote in that email. "So we just need to get the cars to their new owners!" News of slowing sales could also stir up new concerns about whether Tesla has enough cash to make its hefty debt payments. In March, Tesla paid off a $920 million bond that took a big chunk out of the $3.7 billion in cash it had on hand at the start of the quarter. That followed a $230 million payment the company made in November. Its next big payment is a $566 million debt issue that is due in November, followed by another $1.4 billion in notes that is due in two years. The company said in its statement on Wednesday that it "ended the quarter with sufficient cash on hand." Tesla also needs more cash soon, as it prepares to start making the Model Y — its cheaper SUV built on the Model 3 sedan platform. And Tesla is building a plant in Shanghai that it hopes will make half a million vehicles for the Chinese market every year. Even so, the talk of a cash crunch has quieted down somewhat, at least compared to last year. "From our standpoint we wouldn't characterize Tesla as having a robust liquidity position by any means, but it's less tenuous than it was six to nine months ago," said Bruce Clark, credit analyst at Moody's. 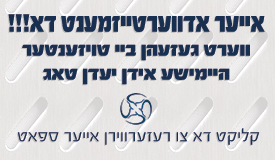 אין אויגוסט ווען דער מאסק האט געטוויט די טוויט הידוע 'פאנדינג סעקיורד' האט טעסלא געהאלטן ביי 341.99, יעצט אכט חדשים שפעטער און עס האלט ביי 267.78, נאך אלץ א פערטל נידריגער פון דעמאלט, ווי זיין נארישע אויבער-חכמה האט אים געטראגן, ווייל זיין גאווה האט נישט געקענט דערהייבן אפאר פראגעס פון רעפארטער.